It’s a common adage that wine improves with age. But is that true? Well, like most things, it’s a little more complicated than that. Some wines are made and intended to be consumed quickly. Almost any white wine; any slightly effervescent wines (e.g. albariño, pétillant naturel, vinho verde, etc. ); and some fresh, light-bodied red wines such as beaujolais nouveau or grenache will go bad fairly quickly. They’re meant to be enjoyed the same year they’re released. Only the most full-bodied chardonnay wines will improve with age. However, the more complex and structured a wine is, the more it will change and evolve over time. More simplistically, the more “stuff” there is in the components of the wine, the better it will mature. What “stuff” are we talking about? First and foremost, is tannin. Tannins are acids present in the skins and stems of grapes, and to a lesser extent, in the wood of oak barrels. When the grape skins and stems are left in contact with the juice after pressing, they impart the color of the skins, along with additional flavor/scent compounds known as polyphenols, and tannins, to the final product. Wine aged in oak barrels may pick up some additional tannic aspects. Tannin tastes somewhat bitter, and it’s an astringent. That means that it makes the inside of your mouth feel dried out. And it also means that it has antiseptic qualities. Tannins kill bacteria; bacteria that would feed on and break down the wine into vinegar over time. So, a wine with a significant tannin component will last longer. Some big, bold, full-bodied red wines with a tannic backbone also have other stuff going on. They may have a sharp, acidic bite. The alcohol content will be higher: in the range of 12% by volume. They have harsh, in-your-face flavors, and disconcerting aromas of metal, earth, leather, etc. These wines are not meant to be: 1) consumed by themselves. They’re intended to be paired with foods, like steak, cheese, or stew; nor 2) consumed fresh and new. At the very least, these complex, highly structured, full-bodied wines will benefit from some aeration. Pouring the bottle into a decanter and letting it get some air contact will mellow everything out. The oxygen in the air will combine with the complex chemicals in the wine and the resultant oxidation will release some of the more interesting and enjoyable flavors locked away under the acid, alcohol, and tannin, and will mellow out the sharp edges. The heavier and bolder the wine, the longer the decanting can be; thirty to sixty minutes should do the trick. But take the same wine, and stow it away for a few years, in a cool, dark place. Then, try it again and discover a whole different experience. Smooth, mature, with all of the different aspects integrated together. That’s the wonder of aging a fine wine. Otherwise, if you find yourself enjoying the wine right now, then enjoy the wine right now. Simple, un-oaked, fresh, smooth wines that can be drunk right now, should be drunk right now. Finally, remember that saving a wine for a “special occasion” misses the point. Enjoying a good wine with good company and good food, is always a special occasion. In the meantime, back in Fredericksburg, the old Guenther property was eventually acquired by the Brown family, which raised winter wheat and other crops on the farm. In the 1990s, they passed the estate to their daughters, one of whom became interested in the increasing production of wine grapes around Texas. In 2013, they planted their first vines, and while waiting for them to mature, began making wine from grapes they purchased from the Sierra Foothills region of California. They opened to the public for tasting in 2016, making them one of the newest wineries in the Texas Hill Country. They are also the closest winery to Fredericksburg. Today, 1851 Vineyards has sixteen acres of grapes in production, and releases about a dozen varieties of wine, now made from Texas fruit. Try some of their Tannat, which is a grape becoming more and more popular among Texas growers for its success in our climate. As is Alicante Bouschet, another obscure but surprisingly pleasant variety discovered by Texas wine makers. The tasting room and winery are new, but Carl Guenther’s 1850s farmhouse is still there, so you can enjoy one of Fredericksburg’s newest success stories while appreciating its 160-year-old history at the same time. Now is a good time to go: they offer wine and cookie pairings for Valentine’s Day! And 1851 Vineyards is just the first stop along Fredericksburg’s second wine trail: State Highway 16 heading south to Kerrville. In twenty miles there are now four wineries to visit, with more on the way. There’s always something new to explore in Texas wine country. Today we will continue our exploration of the characteristics you can expect from each of the major wine grape varieties. We will focus on wine grapes with red skins today. It’s important to note that red grapes don’t necessarily make red wine. So-called white grape varieties, which are actually greenish in color, can only make white wine. But red grapes can be used to make either type. When the juice is pressed out of the fruit, it can be fermented into white wine regardless of the grape variety used. However, if the grapes have red skins, AND the skins are left in contact with the juice as it ferments, then the red color will be dissolved into the wine, along with various other chemicals, such as tannins, that lend additional body, aroma, and flavor to the final product. The longer the skins are left in the juice before being skimmed off, the darker the color will be. Red wine in Bordeaux is made with a blend of Cabernet Sauvignon and Merlot. In some parts of the region, the Cabernet Sauvignon is the principal grape in the blend. Because of its reputation in more than a few of the most famous wines produced in France, this variety has garnered the same popularity in America that chardonnay has for white wines. This is surprising since by itself, Cabernet Sauvignon produces wines that are high in acidity and tannins. So, they are excellent paired with a fatty steak, but are somewhat harsh and heavy to drink on their own. For people who don’t like red wine, bottles made only from this grape may seem to be everything that they don’t like about red wine: harsh, astringent, sour, very dry, and strongly flavored. Again, pairing these wines with fatty foods, or making a blended wine with Merlot, brings out an intense black currant aroma and flavor in the wine that is enjoyable. Because of the warmer climate, Cabernet Sauvignon grown in the Texas High Plains tends to be sweeter which can balance out some of the less desirable qualities in the fruit. And there is even some grown in the Texas Hill Country, too. There are two excellent options for exploring the world of Texas Cabernet Sauvignon. The first is Texas Hills Vineyard. They make two different versions: one with grapes they grow in their own vineyards in Johnson City, called an “estate” wine. The other is made from fruit purchased from the Newsom Vineyards, one of the oldest and largest growers in the High Plains. The other option is Inwood Estates Winery. They manage their vines to produce very small yields, which concentrates the aroma- and- flavor-carrying compounds, called polyphenols, into smaller quantities of berries. The resulting wine has more of the blackcurrant characteristics for which the variety is known. In Bordeaux, Merlot is blended with Cabernet Sauvignon to produce a smoother, mellower wine. In some parts of the region, Merlot can account for up to ninety-five percent of the blend. By itself, Merlot almost always produces a wine that’s softer, smoother, fruitier, and more accessible than Cabernet alone. But it lacks the structure, body, and meat-pairing characteristics. Nonetheless, Merlot has taken over a lot of Cabernet’s popularity after its boom in the 1980s. That is, until 2004, when the film Sideways took direct aim at Merlot’s perceived over-popularity, and sales plummeted. There aren’t too many Texas producers that make a single-variety Merlot. The best example can be found at Becker Vineyards. Some notable Merlot blends are sold by Llano Estacado and Kuhlman Cellars. Pinot Noir is the grape used in the fabulous red wines of Burgundy. In 2004, when the film Sideways was denigrating Merlot, it was promoting Pinot Noir. As mentioned in the film, it is a difficult grape to grow, requiring a long, cool growing season. Without those conditions, it can actually produce a fairly poor wine. But in the right circumstances, it makes some of the lightest, smoothest, most-drinkable red wines. The fruits produce aromas of flowers, herbs, red berries or cherries, and a silky texture. As you might imagine, growing Pinot Noir in Texas is particularly difficult. There are a few vines growing in the High Plains, and you can find some of that wine at Messina Hof Winery. However, one of the best places in America to grow Pinot Noir is Oregon, and you’ll be able to taste some Oregon Pinot Noir wines sold at local winery Signor Vineyards, which just opened in the last year. Cabernet Franc is an ancient variety from the Loire Valley of France. When it was cross-bred with Sauvignon Blanc, the popular Cabernet Sauvignon was created. While there are Cabernet Franc-based wines produced in the Loire Valley, it is more commonly blended with Cabernet Sauvignon and Merlot in Bordeaux wines. It adds acidity, and some minerality, but doesn’t have a particularly distinctive flavor of its own. When made into a single-varietal wine, Cabernet Franc can exhibit some qualities of strawberries or green olives. This variety isn’t commonly grown in Texas, but it can be done successfully. You may find Cabernet Franc wines at Texas Hills Vineyard and Messina Hof Winery. As a grape variety, Sangiovese (san-jeeo-VAY-see) was relatively obscure until recently, because it is blended with others to produce the Chianti wines of Tuscany. But as American consumers became savvier with regards to grape types, Sangiovese was discovered. By itself, it has floral and herbal aromas, and flavors of sour cherry. Because it comes from the warmer Italian climate, Sangiovese does particularly well in Texas, and is one of the more common grapes grown here. Instead of trying to reproduce the Chianti style of wine, Texas vintners have been making a single-variety Sangiovese wine that could be considered a great Texas substitute for Pinot Noir. One of the best local Sangiovese wines comes from Texas Hills Vineyard. Other award-winners in 2018 came from William Chris Vineyards, Signor Vineyards, Hilmy Cellars, Llano Estacado, and Messina Hof Winery. This grape is native to northern Spain, a climate similar to Texas’s. It is the principle variety used to make the famous wines of Rioja, along with other regions of Spain. Although it adds a structure of acidity and tannin to those wines, it doesn’t have very strong flavors of its own, tending towards berries or plum. In Rioja, it is blended with other grapes to add fruitier, sweeter, and brighter flavor notes. Another alternative to bring out the potential in this grape is to barrel-age the wine. Because Tempranillo matures earlier than other grape varieties (tempranillo means “little early one”), it has become a darling of the Texas vineyard industry. Harvesting it four to six weeks earlier means that late-summer heat waves or hail storms won’t affect the crop. And the Texas climate and soil suit the vines quite well. You’ll find excellent examples of Tempranillo wines at almost any quality Hill Country winery. Some good starting places are: William Chris Vineyard, Hye Meadow Winery, Inwood Estates Winery, Pedernales Cellars, 4.0 Cellars, and Lewis Wines. Syrah is one of the three classic grape varieties used to produce the red wines of the Rhône Valley of southern France. The other two are Grenache and Mourvèdre. Like Viognier and Rousanne from the same region, all of these grapes grow very well in the Texas warmth. By itself, Syrah produces a very dark, purple-colored wine with sturdy tannins and acidity. It ages quite well. The French wineries blend it with the Grenache and Mourvèdre to give it more balance and smoothness. Texas vintners do the same thing, and call the final product GSM. You’re more likely to find a Texas GSM than a single-variety Syrah. In fact, you may find a GSM at almost every winery you visit. But the two best may be at Pedernales Cellars and Messina Hof Winery. The second of the GSM grapes adds smoothness and plenty of sweet plum flavors to the mix. By itself, Grenache wines can oxidize quickly, which means they’re best drunk young. There is a good single-variety Grenache wine available at Ron Yates Wines. Mourvèdre (moor-VEDr) adds tannin and alcohol to the GSM blend. By itself, at its best, Mourvèdre can produce wines similar to a Merlot. If not crafted properly, though, it can have characteristics that some people describe as “gamey” or earthy. This grape is difficult to grow in many regions, but does quite well in both the Rhône River Valley of France, and in the Texas Hill Country. The grape growers at William Chris Vineyards have pioneered growing Mourvèdre as a response to the particulars of the Texas growing conditions, and they have become known for producing excellent and well-balanced wines from this grape. Some vintners have balanced the harsher qualities of the grape by producing a rosé wine from it. You can find an example of this at 4.0 Cellars. There are a number of other, lesser-known red grape varieties that are becoming more and more popular amongst Texas grape-growers, for their ability to produce high-quality fruit in Texas’s challenging environment. These include: Alicante Bouchet, Barbera, Carignan, Cinsaut, Malbec, and Tannat. All of these options are relatively new to American wines. When you find one, be sure to ask your wine ambassador about them, and what typical aromas and flavors they produce, so you can add them to your life list of experiences. You may or may not know that the Texas Hill Country is one of the two most-visited wine regions in North America, along with Napa County, California. On average, roughly 5,000,000 visitors come to central Texas wineries for tasting, tours, and to find that special bottle (or six) to bring home. One of the reasons that the Hill Country is such a popular destination, is that it is an easy drive from five of the fifteen largest American cities: Houston, San Antonio, Dallas, Austin, & Fort Worth. Although there are visitors from across America, and from international origins as well, the accessibility of the Fredericksburg area for a day or weekend trip makes it particularly attractive for repeat and new visitors from across Texas. If you’re looking for alternatives to visiting the wineries’ tasting rooms, which requires taking a tour or driving from point to point, and limits you to 3 or 4 venues in a day, an excellent option to consider is to visit one of the many wine festivals held throughout the year. Each festival gives you the option to combine wine tasting from multiple vintners with shopping and eating all at one destination. And some of these events will also give you the opportunity to visit some places not often associated with Texas’s wine industry. You can purchase tickets online for this event, which benefits the Wimberley Community Civic Club. Once you park near central Wimberley, you can walk around the charming business district visiting wineries, eateries, and unique shops. Your ticket affords you one tasting at each wine venue. This year’s event is scheduled for Thursday, April 4. This event is going into their 5th year at the Horseshoe Bay Resort. Last year’s gathering featured more than 25 Texas winemakers showcasing 100% Texas rosé wines. This has become one of the Hill Country events that vintners favor to get exposure for their products. This year’s conference is scheduled for the weekend of April 21. At Austin’s world-famous Auditorium Shores, this event has loads of experiences all at one festival. Your purchased ticket includes unlimited tastings of wine and liquor from a wide variety of famous vendors, plus tasting bites from local celebrity chefs. There are also cooking demonstrations, live smoking & grilling, taco competitions, wine pairings, and of course, live music. This festival does not feature Texas winemakers, but it is a signature event for Texas foodies and wine-lovers. This year, the planned weekend is April 26-28. This one-day event is free and open to the public. Taking over the central business district of New Braunfels, the proceeds from sales made during the day will benefit the New Braunfels Parks Foundation and the Downtown Association. There will be live music, wine pourings, beer tasting, grape stomps, craft markets, food demonstrations, and children’s activities. This year plan on May 4 for this festival. We’ll fill you in on some of summer’s events as we get closer to spring. Enjoy having fun at this spring’s festivals! Although wine can be made from any species of grape, many of the “wild” grapes found throughout the world, including the 7+ species native to North America, don’t produce a particularly enjoyable beverage. Wine as we have come to know it is made from the “wine grape,” Vitis vinifera, which is native to the Old World. Over the last 8000 years, growers have domesticated between 5000 & 10,000 cultivated varieties of wine grapes. Each variety was developed either because it exhibits desirable qualities and characteristics in the fruits, which are then reflected in the wine; or to take advantage of particular growing conditions to which other varieties are not well suited. As wine becomes more and more popular around the world, along with the possibility of importing wines made pretty much anywhere, consumers have become more knowledgeable about the varieties of grapes used to make the wine. In Europe, wines are usually identified by region, e.g., Bordeaux, Burgundy, Champagne, Chianti, Rioja, etc. Each of these regions has specific traditions (and now, regulations), that determine which grape varieties can or can’t be used. For example, a red wine from Bordeaux can only be made from Cabernet Sauvignon and Merlot. A sparkling wine from Champagne can not include anything other than Chardonnay, Pinot Noir, or Pinot Meunier. However, American wines are most often identified by the varieties of grape found in the bottle. Certainly, some regions are better suited to certain varieties than others. But purchasing an “Alexander Valley” wine from California, for instance, doesn’t tell you what went into the wine. Each classic grape variety has certain common characteristics and tendencies. When you learn what to expect from each, you can begin to become a better-educated consumer of wine. Chardonnay is the grape used to make white wine in Burgundy, including the famous wines from Chablis. In the 1980s, California producers had enormous success with this grape, and it became a little too popular. Chardonnay wine was over-produced during that decade because of its fame, and as a result, consumers were exposed to a substantial quantity of poorly made examples. That doesn’t mean that it should be avoided, however. But some judgement is required before diving into any old California chardonnay. The chardonnay grape has a good proportion of malic acid. This is the acid found in apples. And, if you have an unaged chardonnay wine made in stainless steel tanks, you will find that the wine exhibits a great deal of green apple aroma. This is the most characteristic quality of chardonnay. However, the grape holds up well to aging in oak barrels as well. If this is done, a process known as malo-lactic fermentation occurs. During this transformation, bacteria convert the malic acid into lactic acid, the acid found in milk. This gives the wine much less fruity character, and more of the mouth-feel of butter. Some people prefer the big, buttery, oaky chardonnays produced in the warmer climates of California. But chardonnays grown in cooler climates, and not aged before being bottled, will have a light, refreshing, apple-fruity, acidic nature. This is how Chablis wine is made. Most Texas producers of Chardonnay wines favor the latter option. This is simply an aesthetic choice, since the big bold California Chardonnays of the past have fallen out of favor with the general public. Chardonnay grapes, however, are difficult to grow in Texas. You will find very little, if any, growing in the Hill Country. Some of the oldest grape growers in the state have enough experience to keep these vines alive reliably in the High Plains and North Texas, but you never know when a hail storm or late-spring freeze will destroy all of that hard work. You can find an excellent example of Texas Chardonnay at Inwood Estates Winery. The location is in Dallas, but they have a popular tasting room on US Highway 290 between Fredericksburg and Stonewall. Sauvignon Blanc is the grape used in white wine from Bordeaux and the Loire Valley. It is particularly popular in summer wines, because it’s light, refreshing, and acidic. It can also be temperamental, and if winemakers aren’t careful, these wines can have aromas that are too grassy, or even with hints of ammonia. But when done right, sauvignon blanc wines have cool, refreshing aromas of just-ripe green fruit like gooseberry or green plums. The best Sauvignon Blanc comes from cool climates, and so is not produced very successfully in Texas. There is some grown in the High Plains, and is made into wine by Spicewood Vineyards, Fall Creek Vineyards, and Kuhlman Cellars. Riesling is another cool-climate grape that originates from the Mosel and Rhine river valleys in Germany. Not only are German Rieslings famous, but they are also the wines that brought success and attention to the Finger Lakes wine region of New York. There is a misconception that wines made from Riesling are predominantly sweet. Like any grape variety, winemakers can choose to make sweet or dry wines from the same grapes. And there are plenty of dry riesling wines out there. What makes Riesling popular for making sweet wines, though, is that it has enough acidity to balance out the sweetness, and sweet rieslings are not heavy or syrupy. The aromas of these wines are typically both floral and very fruity. Alexander Vineyards near Fredericksburg makes true German Riesling wine from grapes grown in the Mosel valley, in a dry to off-dry style. This grape variety derives from an ancient north Italian variety called Traminer. Gewürz (geh-VERTZ) is German for “spicy.” Ge-VERTZ-tra-MEENER is the grape most associated with Alsace, between Germany and France. These wines have a hint of cinnamon spice, but are most known for a fruity flavor similar to lychee nuts. This grape is not grown extensively in America, and certainly not in Texas. The best example of a Texas wine from Gewürztraminer can be found at Messina Hof Winery. Chenin Blanc was made famous by the semi-sweet to sweet wines made in the Loire Valley of France. Like the other white grape varieties, this is a cool-climate grape. The wines are usually characterized by light body and delicate flavors of melon or honey, with a hint of nuttiness. It’s not usual to find Chenin Blanc in Texas, but surprisingly, there is a plot of it that’s been growing for twenty years in the Texas Hill Country. Texas Hills Vineyard in Johnson City has taken advantage of a north-facing slope of the Pedernales River where cool air drains at night, to grow some Chenin Blanc along with Pinot Grigio. They make three different wines from these two cool-weather white grapes. You won’t find too many other Texas examples. There are three “Pinot” varieties of wine grape. The word “pinot” comes from the French word for pine. There are Pinot Noir, Pinot Grigio, and Pinot Blanc (black, gray, and white, respectively). The Pinot Grigio is a darker variety than Pinot Blanc, and has a heavier, more complex character. The wines are just as light and delightful as Chenin Blanc wines, but with more of the nutty aromas and flavors. This is one of the most-grown grapes in Italy. There are some wines made from just Trebbiano there, but mostly it is added to wines like Chianti to add fruitiness. Because the climate in the Texas High Plains is so similar to that of parts of Italy, it has become a popular white grape in Texas. One of the most famous and award-winning Trebbiano wines produced here is from Duchman Family Winery in Driftwood. They describe the wine’s fruitiness as having tropical or citrusy notes, along with pleasant acidity. There are so many versions of this grape, that it’s practically its own grape family. You’ll see varieties such as Muscat Canelli, Muscat of Alexandria, and Orange Moscato. This is the grape used to make Asti, the sweet, sparkling wine of northern Italy. While this grape certainly can be made into a dry wine, it’s most famous for making sweet dessert wines. As with other Italian grapes, it grows well in the Texas High Plains. You’ll find muscat-type wines at Texas Hills Vineyards, Pedernales Cellars, and Messina Hof Winery. But the Texas winery that’s based its success on Muscat wines is Sister Creek Vineyards in Sisterdale. This is a grape from Spain and Portugal that is made into light, refreshing, often slightly-effervescent wines. Albariño grows just as well in Texas as it does in Spain, as both areas have similar climates. These wines are perfect for a hot Texas summer, and can be found at a wide variety of Texas Hill Country wineries. Some of the best examples are at 4.0 Cellars and Lewis Wines. This is a grape grown in the Rhône river valley of southern France. This region of France, along with Italy and Spain, is the region in Europe that has the most similar climate to Texas. Therefore, most grapes grown here are from these grape-growing areas. Marsanne produces medium-bodied wines with medium fruitiness. Along with Viognier, this has become an increasingly-popular grape for making Texas white wines. Some of the best examples can be found at Kuhlman Cellars, Wedding Oak Winery, and 4.0 Cellars. Viognier (vee-ohn-YAY) is another Rhône Valley grape from France. It is more complex, and produces fuller-bodied wines than Marsanne. Because of its versatility and growing success in Texas, you could consider it the Texas equivalent of Chardonnay. Almost any quality Texas Hill Country winery is going to make a good Viognier, and it might be a fun challenge to try to taste and compare all of them. But good places to start would be Hye Meadow Winery, Pedernales Cellars, Wedding Oak Winery, and 4.0 Cellars. And that’s just the white grapes! Stay tuned for more information on the major varieties of red wine grapes. What's the Deal with Wine Competitions? Every year, wine judges and industry experts gather at dozens of competitions around the world, some internationally prestigious, others quite local in scope, to taste and evaluate wines that have been submitted for competition. For the vintners, winning a popular or prestigious competition can bring valuable exposure and increase sales. And the list of winners can be a helpful resource for consumers looking to find direction in the crowded and complicated wine marketplace. Of course, just because a particular wine wins a competition doesn’t mean that an individual consumer will enjoy that wine. We all have different tastes and preferences, and they may not conform to those of the judging panel at a particular event. In fact, some scientists performed an experiment to determine the subjectivity of these competitions. They had the same panel of experts taste the same wines on different occasions, in different orders, and each time, the wines were awarded different scores. How one perceives a wine, including experts, can depend on how that person is feeling on a particular day, the temperature of the wine, the wine that was tasted before and after, etc. Typically, though certainly not always, judges award medals to wines in specific categories. Since each judge can award medals, some competitions produce multiple award winners in each category. Bronze, silver, and gold medals are usually awarded for the top three places. In some events, the gold medal winners are pitted against each other, the top score-getter receiving a double-gold medal. Other matchups simply award point totals, or place all the wines in order from first place to last place. In 1976, a British wine merchant organized a wine competition in Paris, judged by nine French wine experts. The merchant, who only carried French wines, was looking to generate some publicity. At the time, it was the general consensus that only French wines were of a superior, “fine” quality, all the rest of the world’s wine being thought of as “bulk” or “discount” table wine. The competition pitted six American cabernet sauvignons against four French bordeaux, and six American chardonnays against four French chardonnays. To the shock of the entire wine world, with the possible exception of California winemakers in the know, the judgment was won by the Stag’s Leap cabernet sauvignon and the Chateau Montelena chardonnay, both from California. The result announced to the world that the California wine industry had truly established itself on a par with the centuries-old French tradition, and was producing world-class wines. This inspired wine makers in other countries, and across America, to seriously consider investing in establishing quality wine-making facilities. Within a year of the competition, four new wineries had opened in Texas, and the industry really started to come into its own during the 1980s. There are now more than 450 wineries in production across Texas, with plenty more to come. The largest, most influential international (meaning wines can be submitted from anywhere) wine competition in America is the San Francisco International Wine Competition, started in 1981. In the last 10 years, a number of Texas wines have begun winning medals somewhat regularly at San Francisco. The most recent judgment, in November 2018, produced double gold awards for seven Texas wineries. You can see the list of winners here. The Finger Lakes International Wine Competition, unlike the New York City competition, is open to the entire wine world, not just industry insiders. The first event was in 2001, and they accept more than 3800 entries from around the world and all 50 states. Fewer Texas wineries ship their wines to New York for this event, but the March 2018 competition did yield gold medals for four Texas wineries, including one double gold. In 1984 the Texas Wine & Grape Growers Association began the Lone Star Wine Competition in, appropriately enough, Grapevine, Texas. Initially, this was a local event to showcase Texas wines. Since then, it has expanded to a limited international compass, and almost all of America, excluding the four states that produce more wine than Texas: California, New York, Washington, & Oregon. Some of the wineries we visit regularly that won double gold medals at the 2018 Lone Star Competition include Barons Creek Vineyards, Bingham Family Vineyards, and Messina Hof Winery. Two of the more fun local wine competitions are those that are held in conjunction with the Houston Livestock Show & Rodeo, and the San Antonio Stock Show & Rodeo. Although both events rank wines according to the traditional awards of bronze, silver, gold, and double gold medals, the winners actually get to take home saddles and belt buckles to display in their tasting rooms. Keep a look-out for these status symbols when you visit a Hill Country winery on your next tour. And ask your server which wines are the award-winners. Then you can determine for yourself if you agree with the experts. Here a few of the terms our passengers most often encounter at wine tastings. Being familiar with some of the verbiage used by your “wine ambassadors” will enhance your experience, and give you more confidence in finding a wine you enjoy. Varietal: This term refers to the botanical variety of wine grape used to make the wine. All European wine grapes are of the same species, Vitis vinifera, which has been domesticated into 5,000-10,000 different varieties over the last 5,500 years. Each variety has different growing requirements, and aroma and flavor characteristics which are expressed in the wine made from them. Many wines are made by blending vintages of different varietals. For example, Bordeaux wine from France is made by blending Cabernet Sauvignon and Merlot. Other wines are made from a single varietal. In America, it’s more common for the wine to be identified by the varietal(s) used to make the wine, rather than the region where the grapes were grown. Some of the most popular grape varietals include: Cabernet Sauvignon, Merlot, Pinot Noir, Syrah, Zinfandel, Chardonnay, Riesling, Sauvignon Blanc, and Pinot Grigio. Appellation: The officially designated area where wine grapes are grown. Each region has particular growing conditions and climate that affect the quality and characteristics of the grapes grown there. Grapes grown in different regions will produce wines with noticeable differences in aroma and flavor. Each appellation will be more successful growing one or more varietals than others. For example: Oregon is known for producing superior Pinot Noir, whereas the Finger Lakes region in New York grows exceptional Riesling. Some appellations have very strict regulations about how the grapes are grown and how the wine is made, in order to be officially labelled as coming from that appellation. For example, in order for a wine to labelled as “Champagne,” the grapes must be grown within particular parts of the Champagne region; they must be Chardonnay, Pinot Noir, Pinot Meunier, or some blend of those three; the wine must undergo secondary fermentation in the bottle; the grapes must be grown according to certain practices, and pressed in a certain way, etc. In the United States, wine appellations are designated by the Department of the Treasury, and are called American Viticultural Areas (AVAs). Appellations also apply to other agricultural products, such as cheese or meat. Legs: When evaluating the appearance of wine, tasters take into account the color and clarity of the wine. They can also determine the body, or viscosity, of the wine, by swirling it around in the glass and watching as it cascades down the sides of the bowl. If the wine is light-bodied, it will quickly rush down the glass like water. If the wine contains a lot of glycerol, which is a fatty acid that adds body to the wine, it will drip slowly down in long tear-drops. These are known as “legs.” A wine with pronounced legs has more glycerol, which means it will coat your mouth and tongue more fully, will feel sweeter on your tongue, and probably has higher alcohol content and stronger flavor. Bouquet: As grapes ferment, and the sugar in the fruit is converted to alcohol, a number of highly complex chemical reactions take place, which release different organic compounds that your nose can detect. These aromas are more complex than just the smell of grapes, because there are now chemicals in the wine that weren’t in there before. These aromas that come from fermentation are often the very same smells that also come from other foods or plants. The “primary” aroma is the smell of the grapes used to make the wine. This will be the first thing you detect when you smell a wine. The primary aroma of Chardonnay grapes will be noticeably different than the primary aroma of Zinfandel grapes. The “secondary” aroma is the smell of the wine. Because of the added complexity caused by fermentation, you may smell different fruits, like apples, pears, berries, cherries, melon; or other plants like fresh-cut grass, moss, flowers, or herbs. The “tertiary” aroma, or “bouquet,” is the most complex aroma produced by the wine. This smell comes from wines that have been aged, particularly in oak barrels. These aromas develop as the chemicals in the wine combine with each other over time in the barrel or the bottle. They also come from the barrel itself, if the wine has been aged in oak. These aromas can be woodsy, earthy, mineral (which sometimes comes from the soil in which the grapes were grown), leafy, or culinary. It’s not uncommon for the bouquet of a wine to be described as having notes of tobacco, leather, peat, fresh baked pie, etc. Don’t be alarmed or dismayed if you don’t detect the same aromas in a wine as others. We all have different degrees of olfactory sensitivity, and we each detect different compounds as having different smells. Smell the wine first, figure out what, if anything, you can detect in the bouquet, and then see what notes the winemaker has made about the aromas. You may disagree with those notes, or you may discover new wrinkles in your experience of the wine. Dry: This means the wine is not sweet. If there is residual sugar left in the wine after the fermentation has been completed, then the wine is sweet. If there’s just a small amount of sugar left in the wine (less than 50 grams/Liter), then we call it semi-sweet. Less than 20 grams of sugar per liter is barely detectable by human tongues, and is called off-dry. When there is no sugar in the wine, it is called dry. Port: Port wine is a particular fortified wine made in Portugal. In the Douro Valley of Portugal in the 17th century, when a batch of wine was made that turned out poorly, or there was left-over by-products of winemaking that would be wasted, these materials would be distilled into a neutral spirit known as aguardiente. The next year, during the wine-making process, some aguardiente was added to the fermenting grape juice. This greatly increases the alcohol content in the vat, and kills the fermenting yeast before they consume all the sugar in the juice. This results in a fortified wine that is higher in alcohol (usually 17-20% alcohol by volume) and also sugar. These wines are shipped down the Douro River to the city of Oporto, from where they are sent around the world. In the 18th century, when Great Britain was at war with France, and could not import any French wines, a treaty was signed with Portugal assuring a continual supply of Portuguese wines, including Port, to the British public. Port became the drink of choice in England of the 1700s, and the Anglican Church to this day uses Port as communion wine. True port must come from the Douro Valley, but port-style fortified wines are made everywhere, including Texas. Some excellent examples can be found at Texas Hills Vineyard and Messina Hof. They can be served with dessert, particularly cheese and chocolate, or as dessert itself, perhaps with a fine cigar. Fruit-forward, fruity, or jammy: When grapes are fermented into wine, the original flavor of the fruit is altered, and can become subdued. The grape flavor may be overpowered by some of the secondary aromas of the wine, such as those of plum, cherry, berries, cocoa, tomato, etc. But when the aromas and flavors of the original grapes are allowed to remain prominent, the wine is described as being fruit-forward, or jammy. Because we naturally associate the flavor of grape or grape jelly with an inherent sweetness, some people think of fruit-forward wines as being sweet themselves. But the truth is, a fruity wine can be completely dry, and still have a prominent jamminess to it. “As grape juice ferments to become wine, carbon dioxide gas is formed as a by-product and released into the atmosphere. The end result is a still, or nonsparkling wine. If the wine maker, at some stage of the process, prevents the carbon dioxide gas from escaping, the end result is a sparkling wine.” -Exploring Wine, by Steven Kolpan et al. The art of producing sparkling wines was standardized and recorded by a French monk named Dom Perignon (1639-1715). Since then, they have been produced according to a highly specific and exacting recipe and method in the region of France known as Champagne. These sparkling wines are the most famous and have garnered the most respect in the wine world over the last three centuries. That being said, today a wide variety of sparkling wines, many of very high quality, are available to the average consumer. Unless you’re looking to buy a top-notch Dom Pérignon or Veuve Clicquot-Ponsardin, it is possible to enjoy these sparklers whenever you feel like it. In fact, in France, it is customary to serve sparkling wine as an apéritif, to stimulate the appetite before a meal. Bubbly wine is also a great option to serve during a meal, and pairs extremely well with: pretty much any cheese; creamy foods or sauces; seafood; charcuterie; fruit-based desserts; and shortbread cookies. Or, just drink it after a long day of work, while relaxing in front of the fire or television, or in the bathtub, because it’s Tuesday. Here’s another occasion: December 31 is National Champagne Day. So in honor of the association between New Year’s Eve and sparkling wine, here are a few options to learn about. What makes champagne the king of sparkling wines has to do partly with its pedigree: the winemakers of Champagne, in the northeast of France, have been perfecting the formula for centuries. And part of it has to do with the traditions and regulations of Champagne production that ensure only the most exquisite and pristine creations are released to the public and earn the name “Champagne” wine, which is a protected term under European law. The requirements include: only Chardonnay, Pinot Noir, & Pinot Meunier grapes may be used; they must be grown on the most selective soils and sites within the designated Champagne region; and they must be carbonated (via secondary fermentation), aged, and sold in the original bottle. The entire process can last anywhere from 18 to 40 months. Now, there are plenty of true Champagne wines available in your local market, ranging from moderately priced to insanely expensive. But a great place to start for the Texas consumer is right here at home. There is, in fact, a Texas winemaker who produces true, and high-quality, Champagne in France under his own direction, and then imports it for exclusive sale here in the Texas Hill Country. His name is Claude Alexander, and you can select from a variety of excellent Champagnes at Alexander Vineyards. Sparkling wine in Italy (known as spumante) has been made for almost as long as Champagne has in France. However, it was a strictly local product, only known to the folks buying wine in the areas between Venice and Trieste. It was primarily a sweet dessert wine, and was eventually popularized in America by the introduction of a not-quite traditional product called Asti Spumante (which is actually the names of two different Italian wine styles). But true Prosecco was brought into the ever-more-sophisticated wine market of the United States in 2000, and has become increasingly popular as a less-expensive alternative to Champagne. Like Champagne, the term “Prosecco” is protected by European law and applies only to wine made in the designated Prosecco region from certain permitted grape varieties. There are substantial differences between the two wine types, though: Champagne typically improves with age, and is characterized by yeasty, toasty (or “biscuity”) flavors. Prosecco is a younger wine, with a fruitier, more acidic bite to it. It also tends to be lower in alcohol. There are plenty of Prosecco wines available for the American consumer. A good place to start if you’re not familiar with it, is with those produced by La Marca, or by Cupcake Vineyards, which makes an excellent low-price entry point to Italian sparkling wines. Cava is a relative newcomer to the world of sparkling wines. It was developed specifically to provide a Spanish alternative to Champagne, starting in the 1850s. It was originally (and to a large extent still is) aged in caves, thus the name. All Cava is made in the Spanish province of Catalunya, with 90% being made in the wine region of Penedès, just south along the coast from Barcelona. In order to be labeled Cava, it must be produced in the traditional French method from grapes grown in Catalunya. Although Chardonnay, Pinot Noir, and Malvasia may be used, most Cava is made from the Spanish grapes Macabeu, Parellada, and Xarello. The flavor profile of Cava is more similar to Champagne than that of Prosecco. But more Cava is produced than any other sparkling wine, so it is far easier to find affordable options in Spanish bubbly than French or Italian. The two largest producers of Cava, which both export to America, are Frexeinet (pronounced fresh-a-net), and Cordiniú. You can’t go wrong with either. American producers of sparkling wine have a lot of catching up to do with their European counterparts. And they have been. Nonetheless, I recommend to you three American wines that are produced by winemakers with long European pedigrees. Louis Roederer took over a Champagne producer in 1833, and his company has been making some of the world’s finest sparkling wine since then. In the 1980s, they discovered that the Anderson Valley in Mendocino County, California, has the right climate, soil characteristics, and precipitation pattern to produce excellent sparkling wines in the same method as in France. The Roederer Estate makes four different sparkling wines at a lower price point than their French releases. Gilbert Gruet was a first-generation Champagne maker in France, and is recognized for making some first-class wines since 1952. In 1983, he discovered the 300-year-old winemaking tradition in New Mexico, and successfully planted Chardonnay and Pinot Noir there as an experiment. In 1984, his children relocated to Albuquerque and began Gruet Winery. Although they produce quite good still wines, including Chardonnay, they are best known for their sparkling wines. For a special occasion, try the Rosé. Finally, Paul Bonarrigo is the fifth generation of wine maker in his family, who are from Sicily. He relocated to Bryan, Texas in the 1970s, and founded Messina Hof Winery, which is the fourth-oldest winery in the state. It is now one of the largest, with tasting room locations in the Texas Hill Country and in Grapevine. Messina Hof produces at least four different sparkling wines each year, and the almond-flavored one is their best selling wine. Because of its semi-sweet flavor, it’s excellent for toasting to a sweet New Year. For other occasions, their Brut is a fantastic all-purpose sparkling wine made in the traditional style at an affordable price. However you enjoy sparkling wine this week, and throughout 2019, make sure you don’t wait for a “special occasion.” Enjoying wine is always a special occasion. And all of us at Texas Wine Tours wish you a good, healthy, joyous, and prosperous New Year full of special occasions. Wayne Millberger is a mechanical engineer who comes from a family of turf grass farmers in the Bay City, Texas area. They currently have 2,000 acres planted in various turf grasses on the flat lands around Bay City. In 2004, Wayne relocated to Kerrville seeking drier air than the 100% humidity air found in coastal Bay City and to learn more about the world of wine and winemaking. By 2008, Wayne and his wife Carol had begun bottling their own wine, using grapes purchased from Lake County, California. Instead of rushing to get their product to sale, they made sure that the wines were properly aged before being released, sacrificing profits rather than a sell a wine that wasn’t mature. Despite not having a tasting room at the time, this made Kerrville Hills Winery the first winery to be established in Kerr County. Since then, they have won numerous awards and medals at various wine competitions around the country. In 2011, the Millbergers purchased a homestead on Highway 16 overlooking the Guadalupe River Basin. They converted the 1960 house into a rustic tasting room, incorporating the original fireplace. There are glass panels allowing views of the fermentation room as well. Along with Santa Maria Cellars, Kerrville Hills Winery was one of the first wine venues to be established along State Highway 16 between Kerrville and Fredericksburg. Since then, three more wineries have followed these pioneers, eschewing the ever-increasing real estate prices along Highway 290, and creating a secondary wine trail for our clients to enjoy. Kerrville Hills Winery has become one of the more popular wineries we visit, and one that many clients haven’t heard of before, since it’s off the more-beaten track of the 290 Wine Road. Our tour guides recommend their Montepulciano “Pooch”wine, which is the winemaker’s favorite. Also, their mulled wine made from Cabernet Sauvignon is among the best you’ll find during the winter season. Come see and taste what our passengers have been enjoying, and add to your life list of Texas Hill Country wineries visited. The art of wine-making dates from ancient times. It was known to the Greeks, Persians, Romans, etc. But distillation is a much more recent development, that was discovered by Arab scholars during the Middle Ages, from the 8th to the 12th century. By distilling wine, the alchemists were able to produce what we call today “brandy.” This process was learned by the Spanish when they reconquered their lands from the Moors by the end of the 15th century. Not long after, the Spanish and Portuguese began exploring and colonizing the world, and transporting vast quantities of commodities to and from those colonies. Wine was one of those commodities. However, the intense heat and jostling associated with storing wine in the holds of wooden ships traveling through tropical waters meant that much of the wine that was shipped this way ended up spoiling. In the 16th century, it was discovered that blending an amount of brandy into the wine stabilized and preserved it, allowing it to reach its destination intact. Of course, the process of adding brandy to wine also increases its alcohol content, but there weren’t too many complaints about that. This style of wine is known as fortified wine. The Portuguese style of fortified wine is made in the Duoro River Valley in northern Portugal. There, the brandy is added to the wine while it’s fermenting. The sudden increase in alcohol kills off the fermenting yeast, and leaves residual sugar remaining in the final product. This yields a sweeter wine known as Port. Port wine is popular as a dessert wine, and pairs extremely well with a variety of cheeses, chocolates, and cigars. Since England is too cold for grape cultivation, the English traditionally imported most of their wine from Spain. But after the separation of the Church of England from the Roman Catholic Church, there was a split in relations between the two countries, and England’s wine supply was cut off. As a result, a treaty was signed with Portugal for the importation of Port wine; and since then, communion wine in the Anglican churches has often been Port. While the term “Port wine” is legally protected and can only refer to specific wines made in the Duoro Valley, there are some Texas winemakers who produce a similar style of dessert wine here. One of the most popular is called Port Rubino, made by Texas Hills Vineyard. It is what’s known as a “Ruby” style of port. That means it’s younger and fruitier, with intense flavors. Spanish fortified wines have been made for centuries in a region known as Jerez, in the southwestern corner of the country. Jerez was called Sherish by the Moors, and that’s how the wine got its name. Unlike with Port, Sherry is made by adding the brandy to the wine after the fermentation is complete, resulting in a dry style of wine. Also, it’s actually made from white grapes, although the fortification and aging give it a darker color than white wines. Because it’s not as sweet, Sherry is often consumed as an aperitif before the meal, in addition to being a dessert wine. Like Port, the term “Sherry” is legally protected. Sherry-type wine is not commonly made in Texas. One similar product is made by Messina Hof Winery, called Solera. This is a wine made from black Lenoir grapes, and is not fortified, but is fermented to approximate the qualities of a Sherry. The third type of fortified wine comes from the Madeira Islands, which are an archipelago off the coast of Morocco, controlled by Portugal. The Madeira Islands were usually the last stop for cargo ships leaving Europe on their way to the New World, and they became a center for wine production and trade. On occasion, some of the wine made there would remain unsold in the Americas, and would return all the way back home. The winemakers discovered that months of heating and turbulence onboard the ships had not been able to spoil their fortified wines; on the contrary, the flavors of the brandy and the barrels had been intensified and stabilized even more. So, the wineries began to intentionally expose their fortified wines to these processes to produce the same results. Madeira wine is darker, nuttier, and sweeter than traditional Ports, and they are virtually indestructible. Since they’ve already been oxidized, heated, and jostled about, they will remain in good condition for many years after being opened. Because American colonists had to pay taxes on goods imported from England, there was a healthy black-market trade in Madeira wine, which was less expensive. In fact, Madeira was the most popular wine consumed in America prior to the War of Independence. As with Port and Sherry, Madeira wine can not be labeled as such unless it comes from its legally-designated origin. But William Chris Vineyards here in Texas makes a Madeira-style dessert wine from white grapes, called Cibola. If you’re an aficionado of a strong, sweet wine paired with some chocolate or fine cheese after dinner, exploring the world of fortified wine will yield some excellent discoveries. In 2008, two Texas grape growers happened to meet at a wine-industry event, and began a partnership that has blossomed into one of Texas’s most successful and well-respected wine-producing ventures. Bill Blackmon graduated from Texas Tech University in Lubbock with a degree in agriculture, and over a decades-long career, became an in-demand wine grower and vineyard manager for some of the largest grape producers in the Texas High Plains. Chris Brundrett graduated from Texas A&M University with a degree in horticulture, and was hired as a vineyard manager by some of the burgeoning winemakers in the Texas Hill Country. Both men developed a philosophy of favoring terroir over popularity. Terroir is a French term that encompasses all of the physical attributes of a particular vineyard that affect the quality and characteristics of the grapes produced there: mineral content and particle size of the soil; quantity and seasonality of rain; cool air flow; slope aspect and degree; etc. If a grape grower concentrates on the terroir characteristics of a particular plot of land, they can select the best variety of grapes and growing techniques that will take advantage of that terroir. However, many grape growers will simply plant the grape varietals that produce the most popular wines, and will sell the best: chardonnay, cabernet sauvignon, merlot, zinfandel, and so on. These grapes are not particularly well-suited for the growing conditions in Texas, though, and insisting on planting them may result in inconsistent yields, and less-than-ideal quality. Bill and Chris discovered their shared desire to feature and accentuate the best that the Texas terroir can produce. With help from a loan by Bill’s artist mother, Mary Ruth, the pair purchased a plot of land in Hye, Texas. It had originally been a turkey farm owned by the German immigrant Deike family, who raised nine boys, three girls, and uncounted thousands of turkeys from a two-room farmhouse they built themselves in 1901. Although the land had been left unused for decades, it had the right slope, soil components, and a rich layer of turkey-dropping fertilizer to produce quality Texas Hill Country grapes. The William Chris Vineyards tasting room, located in the original Deike farmhouse, opened its doors in 2010. In the vineyard, Bill & Chris planted mourvedre, a little-known variety from the Rhone River Valley of France. In Cote du Rhone wines, this grape is blended with others to make a classic red wine blend. But Bill and Chris had determined that, despite its obscurity, Mourvedre was the grape to produce the highest-quality wines in their vineyard. Since then, mourvedre has become a darling of the Texas wine industry, and a common grape used to show off what Texas wine can be. More recently, they have pioneered the growing of tannat, another obscure and neglected European grape variety, which also grows remarkably well in the Hill Country climate. You will see more and more tannat-based wines coming out of Texas in the next few years, and William Chris Vineyards is in the vanguard of this trend. In a few short years, William Chris has gone from a small, boutique winery to a major player in the Texas wine industry. A big contribution to this success is their insistence on always using 100% Texas-grown grapes. 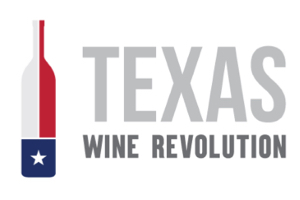 State law requires at least 75% of a wine’s grapes come from Texas in order to be labeled Texas wine, but William Chris has always taken a stand on 100% Texas fruit. They quickly outgrew the century-old farmhouse, and built a new, modern tasting room with a beautiful view overlooking their Hye Estate Vineyard. Their signature wine is a blend of three white grape varieties, called Mary Ruth, in honor of Bill’s mother. In addition to their mourvedre and tannat wines, they are known for two red blends, Enchante and Skeleton Key. The actual recipe for each changes every year, based on the quality of grapes they get from different vineyards as determined by that year’s weather. They are also known for excellent tempranillo wines. William Chris Vineyards is one of the most popular destinations we visit on our guided wine tours. If you stop there, you will be sure to enjoy not only the spectacular views and top-notch service, but also some of the best wine Texas produces, from one of the largest producers of 100% Texas wine. With the winter weather approaching and the holidays fast upon us, you may find it inviting to enjoy a cup of warm mulled wine in front of the fireplace, or perhaps with your family around the holiday table. But what is mulled wine, and where can you get it? Mulled wine is basically just wine that’s been heated up with various spices or herbs. This recipe has been made since the 2nd century in Rome. Throughout history, the spices used to mull wine were considered expensive luxuries, and only the wealthiest and most powerful families in Europe could enjoy them, until spices became more affordable in the 17th century. Because of the warmth and earthiness of the beverage, mulled wine lends itself particularly well to cold weather, and has become especially linked with the winter holidays. To make it easy for you to enjoy this seasonal treat, a few local wineries produce a pre-mulled wine that you can purchase. The best way to serve it is to empty the bottle into a saucepan, heat it very gently, and share it with a group of friends or family. Remember, since this is a hot beverage, a mug is a much better vessel than a wine glass. From time to time, other Hill Country wineries will produce a mulled wine by the bottle, and you may be able to find some bottled mulled wine in your local liquor store. If you are looking for something more unusual, consider mead. Mead is a wine made by fermenting honey instead of grape juice. Like wine, it can be fermented to be completely dry, or sweet, or anywhere in between. Since grapes do not grow in the colder climates of Europe, mead was the drink of choice in Britain and Scandinavia until the advent of distilling introduced those countries to gin and vodka. At Six Shooter Cellars on the 290 Wine Trail, you can find a mulled mead produced by Texas Mead Works, which has also opened up a location of their own in Hye. Their Minstrel’s Head is a mead infused with clover, orange blossom, and wildflowers. It may not be as spicy or fragrant as Glogg, but it will bring a great deal of merriment to your holiday festivities. If, perchance, you are interested in mulling wine yourself, there are many recipes and do-it-yourself packets available online, and at some finer liquor stores. If you go with a premade packet, you simply empty a couple of bottles of wine into your saucepan, and gently heat it with the spice packets submerged in the wine, as if you’re making tea. Of course, you could always find a recipe to create your own blend of spices yourself. The key to success with any of these methods, of course, is selecting the right wine. An excellent way to start exploring the world of mulling your own wine is to visit Texas Hills Vineyard in Johnson City. They sell a spice packet for mulling wine that is formulated to pair perfectly with their Volare dessert wine. The recipe is included. If you’re hosting a party, you may want to consider 4-6 bottles, as the spice packet is intended for larger batches. And, it will be a popular beverage once the smell of the heating wine fills your kitchen. Good luck, and revel in this additional world of wine enjoyment. Everyone always talks about which wine goes best with a particular dish they’re serving at home or ordering at a restaurant. But how do they know? Well, you could memorize a long list of which wines go with which foods. But if you understand why the wines pair well with some things and not others, then you’ll be able to make your own determinations along the way, without consulting any lists. Keep in mind that some wines are meant to be enjoyed by themselves. There is a wide selection of bottles out there, though, that are intended to be consumed with food. The aromas, acidity, flavors, and tannins in a wine will either complement, accentuate, or contrast pleasantly with the tastes, smells, and textures of certain foods. There are no hard and fast rules, and you’re welcome to experiment to see what works for you. Some old adages, like only white wine with fish, are helpful guidelines for the uninitiated, but you can find some excellent red wine pairings with fish if you know what you’re doing (hint: try a rose with salmon). Region to Region: Wine traditionally made in a certain region is meant to be paired with food from that region. Chianti is a wine from the Tuscany region of Italy. It pairs best with food from the Tuscany region of Italy (e.g. minestrone, steak Florentine, pappardelle, etc.). Rioja wine from Spain pairs well with northern Spanish cuisine, such as tapas, roasted vegetables, and lamb. This also applies to Texas: Texas winemakers produce bottles that go great with chicken fried steak, smoked brisket, chili, tamales, and Tex-Mex. Sweet, fruity, and acidic to spicy: Wines that are sweet or fruity will pair well with spicy foods. This is particularly true if the wine has a pleasant acid component. Wines in this category include Viognier, Riesling, Gewurztraminer, Vinho Verde, Pinot Noir, Albarino, Blanc du Bois, or Moscato. You may be surprised how well these choices stand up to Chinese, Thai, Indian, or Southwestern cuisine. Another option with spicy food is a sparkling wine; too often, people think of sparkling wine only in conjunction with a special celebration. Well, drinking wine is always a celebration, so don’t hesitate to break out a cava, prosecco, or Messina Hof Sparkling Moscato next time you have Asian food. Soft and smooth to salty: Wines that are soft and fruity, with low tannins, will balance any particularly salty foods. We’re talking about wines like Beaujolais, Cinsault, Carignan, Sauvignon Blanc, Pinot Grigio, Chenin Blanc, or Rousanne. This will complement some salty oysters, pomme frites, bacon, pretzels, or sushi. Medium body and alcohol to acid and texture: Wines that are in the middle of the spectrum, with medium alcohol levels and medium tannins, are perfect for complementing foods that have acid and texture. These would be foods like tomato sauce, citrus glazes, espresso rubs, or tangy barbecue. Some good choices here would be Sangiovese, Barbera, Grenache, Mourvedre, Chardonnay, Tempranillo, Malbec, and Merlot. A good Burgundy blend would be excellent here as well. Tannins to fat: When you have foods with a prominent fat component, then you’ll want to pair them with wines that have a lot of bold, full tannins. The classic example is Cabernet Sauvignon, and other popular choices are Syrah, Zinfandel, Petite Syrah, Bordeaux blends, and aged Rioja wines. A few of the oakiest, fullest-bodied Chardonnays may work here as well, depending on the food (think cheese instead of steak). An important point to remember is that these tannic wines should not be paired with any foods that are particularly acidic or spicy. This is a bad combination that will wreak havoc with your gustatory experience. Don’t be afraid to experiment. I recently discovered the joys of pairing a Portuguese Vinho Verde with a sauerkraut-topped hot dog, because I was willing to take the leap of faith that the acidity and effervescence of the wine would balance the tanginess of the kraut and relish. You might consider keeping a journal of your wine & food combinations so you can track your success. Martín Santamaria is a native of Argentina, and completed his schooling there. After university, he received a Master’s Degree in Viticulture (grape-growing) and Oenology (study of wine) from the University of Bologna in Italy. The next year he moved to Texas and became the winemaker at Dry Comal Creek Winery in New Braunfels. During the 5 years he lived and worked there, he met his wife, Angela, a native of Mason, Texas. Gradually in those five years, Martín and Angela began their own independent wine-making operation, Santamaria Cellars. In 2005, they moved from New Braunfels to Fredericksburg, and began making wine in their home on State Highway 16. Today, they still produce approximately 1,600 cases of wine by themselves, and welcome people to a beautiful patio overlooking the Hill Country to sample their wares. Usually, when we take our passengers to visit Santamaria, they are surprised upon arriving at a private residence, where the wine is sold from their garage. But the beautiful vista from the patio, and the excellence of the wine are even more stunning. It is quite common for our customers, especially the serious wine drinkers, to exclaim that Santamaria Cellars has the best wine of any venue we visit. Please note that they’re only open for visitors on Friday, Saturday, & Sunday, so if you’re interested in stopping there any other day, and you have a large group, we will have to make special arrangements in advance. The wines are predominantly, but not exclusively, reds made in an Argentinean style, including malbecs and malbec blends. Martín and Angela also make authentic empanadas that you can enjoy along with your wine. Santamaria Cellars is truly a hidden gem among Texas Hill Country wineries! If you’re not serving Thanksgiving dinner yourself this year, there’s a good chance you’ll be visiting friends or family on the big day. If so, you may feel obligated, or be expected, to bring along a contribution. Instead of stuffing, cranberries, or pie, why not delight your party with an exceptional wine? And in case you’re the host, you may want to have a bottle or two available to enhance the meal. But, what wine goes with Thanksgiving? Because of the heavy, savory, character of most traditional holiday foods, it is one of the most difficult meals to pair with wine. A big, bold, full-bodied red wine will actually overwhelm turkey and stuffing. But a light, soft, white wine will itself be overwhelmed by the gravy and cranberries. Not to fear, there are excellent choices out there that strike the perfect balance. What you’re looking for is a dry wine with enough acidity to cut through the heavy gravies and sauces, but some fruitiness to complement the savory flavors. You can select a sparkling wine, a white, a red, or a combination of any of them, depending on how many people will be in attendance. It’s unfortunate that so many people associate sparkling wine with New Year’s Eve, weddings, or other very specific occasions. The fact is that sparklers pair excellently with all sorts of meals and get-togethers. And after all, isn’t Thanksgiving as much a celebration as any other holiday? Sparkling wine has the acidity and the fruitiness to balance and complement the Thanksgiving dinner, and the effervescence actually washes down the sauces and gravies quite effectively. Try the following Texas wines in this category: Sparkling Brut from Messina Hof, McPherson Cellars Sparkling Wine from 4.0 Cellars, or Grand Cru Brut Champagne from Alexander Vineyards. Because white wine has a lighter body and less complexity than red wine, it’s important to focus on the acidity and fruitiness to make sure it’s not inundated by Thanksgiving flavors. Perhaps the single best variety on this count is Albariño, a slightly effervescent wine from Spain. Also, vinho verde from Portugal might be a good choice. The most common variety of wine made in Texas that will work just fine is Viognier, a French varietal that grows extremely well in the Hill Country and the Texas High Plains. Try: McPherson Cellars Albariño, or the McPherson Marsanne, from 4.0 Cellars; Pedernales Cellars Viognier Reserve; Wedding Oak Winery Viognier Reserve; Swim Spot from Lewis Wines; or, for something different, the Gemütlichkeit from Lost Draw Cellars. Because of the cooler temperatures in November, people do tend to lean towards the comfort of red wines. Despite the generally accepted wisdom of serving white wine with chicken or turkey, red wine works exceptionally well here. Again, light body with good acidity and fruitiness is the rule of thumb. Try: Carignan, Granache, or Sangiovese from Lost Draw Cellars; Sangiovese or Sophia Marie (a rosé) from Messina Hof; McPherson Mourvèdre or Tre Colore from 4.0 Cellars; Skeleton Key or Enchante from William Chris Vineyards; or Signor Vineyards Pinot Noir. Finally, after you’ve digested a bit, if there’s room for dessert, consider a dessert wine to go with your pie. A couple of excellent suggestions would be the Jacquez or Cibola from William Chris Vineyards, or the Sauternes from Alexander Vineyards. Of course, if there’s time in the next couple of weeks, you’re welcome to try some of these wines, keeping the flavors of Thanksgiving in mind as you sip, on one of our daily Texas Wine Tours. We look forward to seeing you soon; and wish you the most joyous and delightful holiday. One: Texas is the second-oldest wine-making region of America. Spanish priests established a chain of mission churches along the Rio Grande near El Paso starting in the 1650s. In order to hold Mass, sacramental wine was required for the sacrament of the Eucharist. Rather than have wine shipped from Mexico City, a hazardous journey of four months by wagon train through treacherous desert and hostile native territory, they planted Spanish grape vines in the river floodplain and made their own wine. Wine was made continuously somewhere in Texas from the 1650s to 1920. Two: There are six species of grapes native to Texas, including canyon grapes near El Paso, mustang grapes in the Hill Country, and muscadine grapes in East Texas. The fruits of these grapes are bitter and highly acidic, with thick skins, making them highly unsuitable for winemaking. Almost all commercial wine made in Texas is made from European wine grapes. There are a few specialty wineries, and at-home hobby winemakers, who utilize mustang or muscadine grapes. This requires chaptalization, a fancy winemaking term for adding sugar to the grape juice. Three: Nearly all of the thirty-six wineries in Texas closed in 1920 as a result of Prohibition. After repeal, no new wineries opened in the state until Llano Estacado Winery in Lubbock began selling wine in 1976. Four: Today, five million people each year come to the Texas Hill Country to visit one of the 53 wineries in the region. This makes the Hill Country one of the two most-visited wine regions in America, along with Napa County. Five: Because of the warm, humid Texas climate, in the last 10 years viticulturists (grape growers) in the state have focused more on growing grape varieties best suited to our growing conditions, with less emphasis on the most popular or best-selling varieties. The most common types grown in Texas are: tempranillo from Spain, sangiovese from Italy, and viognier and mourvedre from France. When you’re trying Texas wine, keep an eye out for these varietals. In the autumn of 2003, the Bingham family planted their first vineyards in Meadow, Texas, just southwest of Lubbock in the Texas High Plains. The Bingham Family Vineyards are in Terry County, which has more area of planted vineyards than any other county in Texas. In addition to the family’s traditional crops, they now own or manage a total of two hundred acres of grapes. In the last fifteen years, they have grown twenty-one different varieties of wine grapes, and they sell them to twenty-one different wineries across Texas, plus a Greek Orthodox monastery in the Hill Country that makes its own wine. Starting in 2014, they decided to start making wine themselves, and bottled their first vintage in 2015. But their wines were only available to visitors to Terry County and Lubbock. On September 1, 2018, the Bingham Family Vineyards has opened a new tasting room on the Highway 290 Wine Trail just east of Fredericksburg, and Texas Wine Tours is pleased to bring our passengers to visit this newest wine destination. For such a relative newcomer to the wine-making scene, Bingham’s wines are surprisingly mature and pleasing. They have barrel-aged reds, as well as light and refreshing rosés and whites. The wines they make from blends of different grape varieties are named in honor of the family’s farming roots on the Texas High Plains. When visiting, try to sample the Cloudburst, a delightful blend of five white varietals that manages to showcase the characteristics of each. Their High Plains Sunset Rosé is made from 100% mourvedrè and has enough acidity to support the richness of the grapes’ flavor. And the 2014 Turnrow, one of the first wines they ever produced, has complexity and structure to mature, but is medium-bodied and can be sipped alone as well as pairing with food. When you visit Bingham Family Vineyards tasting room, not only do you know that the wine is made from 100% Texas-grown grapes, but that they are all from the same estate vineyard. We look forward to taking you there on your next visit! Why Didn’t I See Any Grape Vines At My Wine Tasting? The wine world is dominated by the image of a centuries-old French chateau surrounded by acres of mature vines, where wine is slowly crafted in oak barrels hidden in an underground cellar. This model is certainly accurate in the older wine-making regions of the world. Here in America, especially in newer wine areas such as Texas, this is often not the scene where you taste and buy wine. So, to avoid disappointment, let’s examine what you can expect when you visit Texas wineries for a tasting. While European wine-making is often done in facilities surrounded by the vines where the grapes were grown, in truth, grape-growing (viticulture), wine-making (vinification), and distribution & sales are three quite distinct and independent parts of the wine industry. First, vineyards are located on sites that are very carefully selected because of the growing characteristics that will impact the grapes. The mineral composition and consistency of the soil, the amount and seasonality of rainfall, degree of slope and slope aspect in relation to the sun, climate, daily temperature fluctuation, etc., all impart specific qualities and characteristics on the grapes that are raised and harvested on any given site. This is a concept that the French call terroir. Grapes grown in one region will result in very different wines than grapes grown elsewhere, even if everything else is the same. The best place in Texas to grow grapes is the Texas High Plains, the elevated flat-land around Lubbock. There you will find more than 3,000 acres of wine grape vineyards stretched across the prairie. This represents more than 80% of the grapes being produced in the state. And although Lubbock draws almost five million visitors per year for conventions and business meetings, it has not established itself as a destination for wine tasting and wine tourism. In fact, there are only five wineries in the Lubbock area that you can visit. Most of the grapes from Texas High Plains vineyards are shipped to wineries in other parts of the state for fermentation into wine. Second, we’ll look at wineries. Traditionally, in Europe, the winery itself would be located adjacent to the vineyard. The reason is that pulling the heavily-laden grape carts to the wine press was labor-intensive and time-consuming. The shorter the distance, the quicker you could start making wine. In practice, the physical location where the wine is made has no impact whatsoever on the final product. You could grow your grapes in California, and make the wine in Vermont; it’s still going to be “California wine.” Today, with modern refrigerated trucks able to transport tons of grapes across the country in a matter of days, a winemaker can open a winery anywhere they see fit, and have the grapes come to them. When the grapes are grown by the winemaker, either on site or at a remote location, the resulting wines are known as “estate” wines. The vast majority of Texas wines are not estate wines. Today, more than five million visitors annually come to the Texas Hill Country for the purpose of visiting wineries and tasting wine. There are 54 wineries located here, where the pressing and fermentation of grapes takes place. Some of these wineries have small vineyards attached to them, but with only 700+ acres of grapes being grown in the Hill Country, most of the grape supply for the locally-made wine has to be purchased from the High Plains or elsewhere. When you visit a winery for a tasting, you know that the wine is produced on-site, regardless of whether the grapes are estate-grown or not. Finally, there are tasting rooms. Many wineries, even large ones, are located in areas not often visited by wine tourists. For example: one of the oldest, largest wineries in Texas, Messina Hof, is in Bryan. It is the only winery there, with four smaller ones located in the country outside College Station. Bryan does not attract a lot of attention as a wine destination. Therefore, in order to expose Messina Hof wines to a wider audience, and get a lot more people tasting their wine, the winery opened up tasting rooms in the Hill Country and Grapevine. Many wineries have opened up tasting rooms across the state to expand the opportunities for people to encounter their wines. At a tasting room, there will probably not be any vines, except perhaps for ambiance, and probably no wine being made. What you will find is trained, enthusiastic professionals who can talk to you knowledgeably about the wines, where the grapes were grown, how the wine was made, and how to pair each with different foods. There are a half-dozen different tasting rooms on Main Street in Fredericksburg, plus a few others along the Highway 290 Wine Trail. In addition to tasting rooms that are operated by specific wineries, there are some tasting rooms that are independently owned and offer a selection of wines from different wineries. This is a good way to experience multiple wineries at the same time. Vintage Cellars at Rocky Hill offers wines from three Texas vintners, including Val Verde Winery, the oldest operating winery in the state. Val Verde is located in Del Rio, 180 miles off the beaten-path of most Hill Country visitors. Vintage Cellar is located in the old Rocky Hill School, built in 1902. Whether you visit a winery or a tasting room, you will be able to experience some of the best that Texas wine has to offer. There may even be some vineyards nearby, producing a few estate vintages. And if you’re ever in the Lubbock area, you may choose to visit some of the larger, 150+ acre vineyards. There’s a lot to explore in the world of Texas wine.